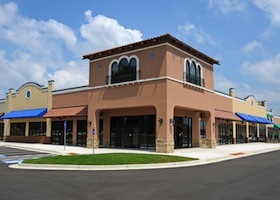 Whether you’re looking to purchase a small retail location or a large strip mall, investing in retail property is a safe and lucrative business. With years of experience in the retail investment industry, our focus is to help our clients optimize the their money by implementing our industry expertise and guiding them to the most profitable investment strategy. Our professionals are knowledgeable in the local market and will provide you with unparalleled experience and insight. At KW Commercial Texas Gulf, we understand the sophisticated needs of retail investors as well as the constantly changing environment of the retail industry. To provide the best service to our clients, we constantly analyze the market and search for the best investment opportunities. Our constant research allows us to provide our clients with market insight that they couldn’t access anywhere else. In addition, our knowledge of the retail industry allow us to fully maximize your value. Our one objective is to provide our clients with long-term profit, ensuring that all our client’s expectations are exceeded for years to come. When investing in retail property, it’s important to pick a property in an expanding location that attracts a variety of industries and potential tenants. Because businesses tend to sign longer leases on retail property than residential property, owning retail property is a safer investment for long-term profit. To protect your long-term profit, our staff at KW Commercial Texas Gulf will make sure your rights as a property owner are protected throughout all negotiations. Invest in retail property and watch your profits grow! Find out more about our retail investment opportunities by calling KW Commercial Texas Gulf today!